Adequate blood perfusion is required for bone healing / knitting processes and laser Doppler is an established technique for the monitoring of blood flow in bone. In areas where the blood supply is limited to a few vessels, such as the femoral head, laser Doppler has been shown to give optimal perfusion measurements for estimating microcirculatory compromise. The monitoring of perfusion in the femoral head can be useful for many reasons including, but not limited to, during surgical dislocation of the hip or during femoral head resurfacing arthroplasty. Using high power laser Doppler with wide separation probes enables a larger volume of bone to be sampled when compared to standard laser Doppler systems. 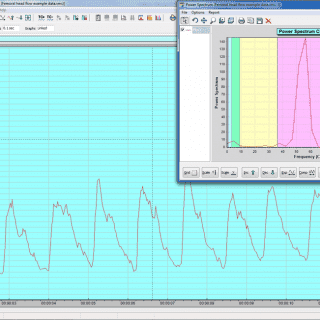 Sampling a larger volume aids improved signal-to-noise ratio whilst also reducing site to site variation. Example femoral head data from moorVMS-PC showing clearly pulsatile flow and FFT analysis confirming strength of the heart rate signal. 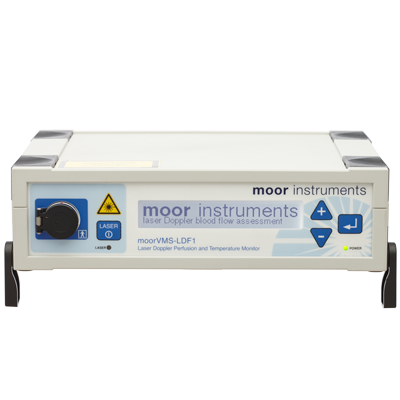 We recommend the high power moorVMS-LDF1-HP monitor with a VP7BS-HP needle probe for intraosseous and surface measurements. The combination of wider fibre separation and higher laser power is optimal for greater penetration. 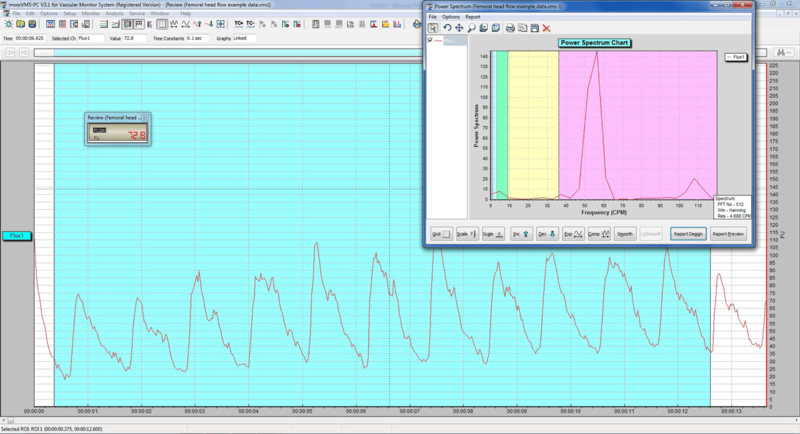 The moorVMS-PC Windows software also offers FFT and wavelet analysis to evaluate pulse intensity in the flow signals. The blood flow to the femoral head/neck junction during resurfacing arthroplasty, a comparison of two approaches using laser Doppler flowmetry. Perfusion of the femoral head during surgical dislocation of the hip, monitoring by laser Doppler flowmetry. Haemodynamic measurement in the femoral head using laser Doppler.